Ranger Challenge and Ranger Buddy Comp. I am a Sophomore at the University of Kansas in the School of Business. I am from Colorado Springs, CO and received an Army ROTC scholarship out of High School. I enjoy hunting, fishing, hiking, sports and running. Since coming here in August of 2014 and joining the Jayhawk Battalion, ROTC has completely changed my life for the better. It has provided me with the discipline and direction that I needed, and I aspire to continue to work hard to graduate with a degree in Business. I plan to commission as an Infantry officer. 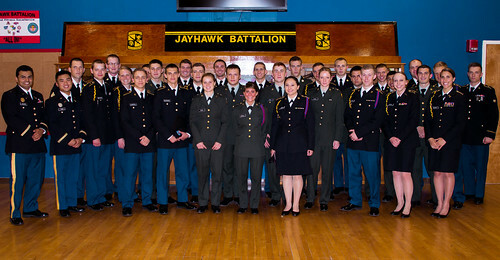 I have made great friends within ROTC who continue to push me to be the best I can be in every aspect of my life.